Until recently, the extrusion and manufacturing of rubber was considered to be one of the most taxing industrial procedures. While large scale rubber extraction continues to be one of most intricate industrial processes, our thermal spray coatings have ensured that the equipment component life and industry specifications are catered to equally. A&A Coatings has a trusted range of coating solutions tailored for the rubber manufacturing industry. Polymer materials are heated to convert them into diverse compositions commonly known as rubber extrusions. This is done by pushing the polymers at a very high pressure and passing them through diversely shaped molds. The applications of these final extrusions are found in several other industries and they are also sometimes used as end products themselves. However, these processes do come at a cost to the longevity of the components within the heating equipment. A&A Coatings has over seven decades of experience providing quick release and wear resistant coatings to solve these problems. The cooling and pattern application in the rubber manufacturing and rubber extrusion industry is done through conveyor belts. 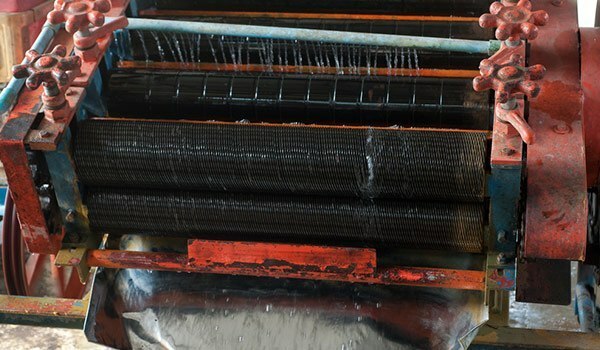 Once the extruded products are ejected out of the machinery, the conveyor belts are used in the subsequent process of cooling after the formation. The same process is used to impart a weaving texture to the end rubber for the purposes of texturing and beautification. Over the years, many wear, corrosion and quick release coatings have been developed to aid this process. A matrix is used by release coatings that are thermal sprayed. This matrix is then passed over a release agent chamber, consisting of either silicone or Teflon. Wear resistance as well as anti-stick attributes come bundled with the release coating benefits. The components that utilize release coatings for thermal spray are extensively used in the manufacturing of food, adhesives and plastics alongside rubber. We have more than 70 years of cross-industry experience when it comes to thermal spray technologies and have been serving both small scale and large scale rubber manufacturing firms over the years. Our strengths lie with our provision of a highly knowledgeable work force, competitive pricing as well as quick turnaround times. To know more about how we can help in supporting the rubber manufacturing industry, give us a call today.